LYNN, Mass. — He didn’t notice the night sweats. It was August, and he had no air conditioning, so it was normal for him to wake up with sweat-soaked sheets. Nor did Dr. Kelly Holland notice the weight loss. But he noticed when he started coughing up blood clots. He knew there were two main possibilities: tuberculosis or lung cancer. 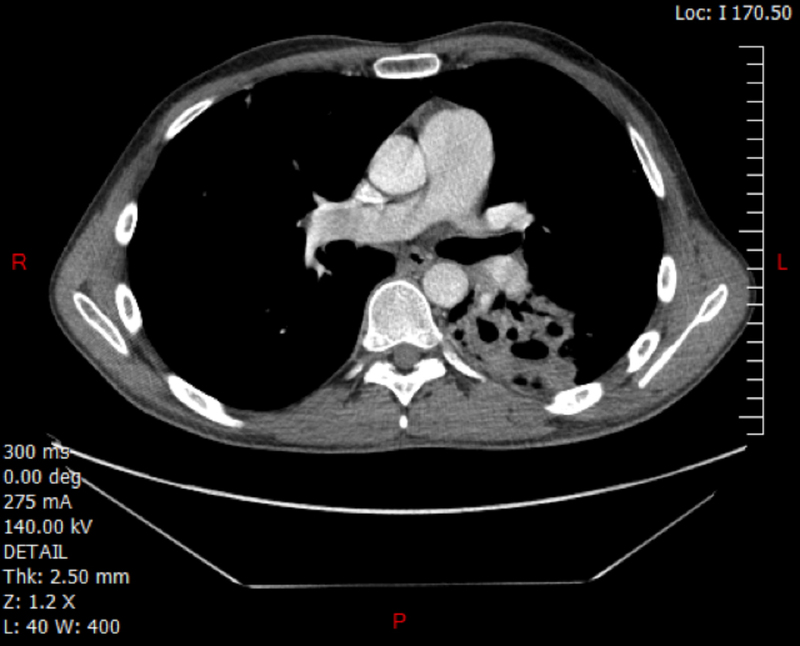 A CT scan revealed the trouble: a gaping black hole in his left lung. It was a little bigger than a golf ball. Holland and his wife hugged. It wasn’t lung cancer. Then he walked to the nearest emergency room and told the staff he needed a mask and an isolation room. Holland’s diagnosis with tuberculosis in 2014 wouldn’t be solved with a brief stint in the hospital. Like all cases of active TB, it would turn into a detective story — and a public health nightmare. Nurses would have to track everyone he could have infected — in his case, some 1,000 people, mostly his patients and their family members. They’d have to put dozens of babies and toddlers on powerful drugs that turned their bodily fluids orange. Holland himself would have to take 17 pills a day for months. The experience exhausted him. But it also turned him into an activist at what could be a critical time for TB in the United States. For nearly 60 years, the number of active TB cases in the US has been generally moving downward. But in 2015, the Centers for Disease Control and Prevention reported 9,563 cases of TB. That’s 142 more than the year before. The disease has sparked panic in places like Marion, Ala., where public health officials desperate to stop the spread earlier this year began paying residents to take their medicine. Globally, TB presents a bigger problem than anyone thought, according to a World Health Organization report released last week. Last year, 10.4 million people got sick with TB — nearly a million more than a United Nations estimate for 2014. 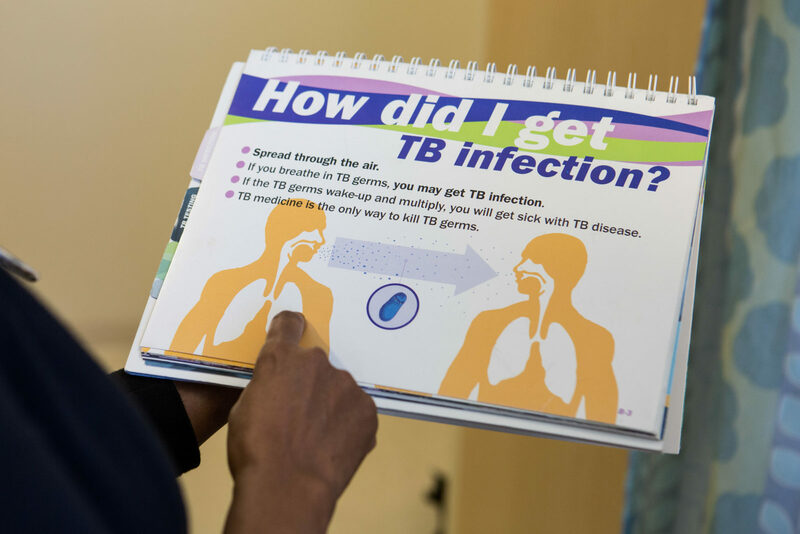 TB remains rare in the US: there are just three cases per 100,000 people. And the increase in 2015 is proportional to population growth. Still, experts are worried. The last time we saw such an uptick in the raw number of annual cases was in 1992, the worst year of a TB resurgence linked to big cuts in public health budgets and the spread of HIV, which destroys immune systems. Each case of TB creates a monumental amount of work. Public health officials have to track down and test everyone who may have been exposed. They also have to monitor each patient to make sure they’re swallowing their daily handful of toxic pills. If the patients don’t complete treatment, the bacteria that cause TB could become drug-resistant. But some experts worry that the public health infrastructure can no longer handle the caseload. To Holland, that isn’t just a public health issue. It’s a moral one. TB is easy for politicians to ignore, he said, because it primarily affects the marginalized: refugees, the homeless, the imprisoned, the impoverished. That is part of the reason he thinks policy makers fail to adequately fund TB control. In Massachusetts, for example, when inflation is factored in, funding for the cluster of programs that includes TB control has dropped 25 percent since 2008. Holland wants to use his story to reverse that trend. The disease is spread by tiny droplets released when a person coughs or laughs. That means that anyone could be at risk. All they have to do is breathe. Holland was no stranger to tuberculosis when he came down with the disease. In 2004, as a med student at the University of Massachusetts Medical School, he’d been treated for latent infection, meaning he had TB inside his body, but it wasn’t spreading or causing symptoms because it was kept in check by his immune system. 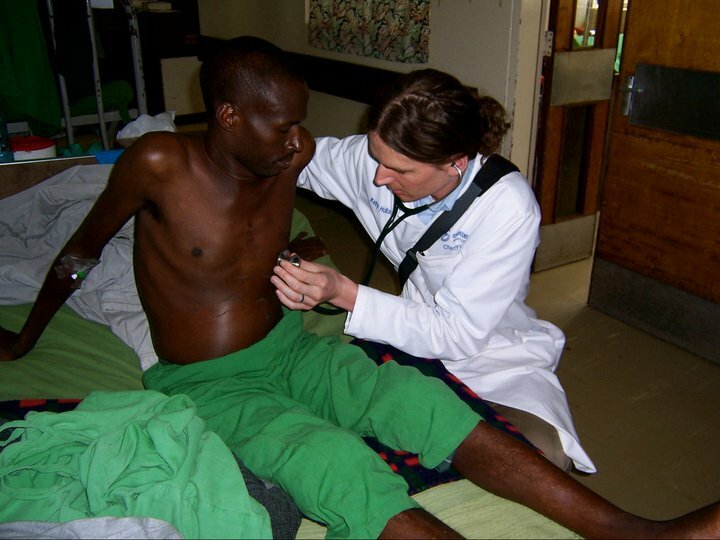 Then, as a medical resident in 2011, he’d spent a month in Kijabe, Kenya — a rural highway-side town, which translates as “Place of the Wind.” He was astounded at the prevalence of TB. Holland and his wife have blue bands tattooed onto their fingers instead. Holland was also well aware that the place he worked — Lynn, a working-class community north of Boston with a heavy immigrant population — had a lot of people with latent TB infections who often didn’t finish treatment. 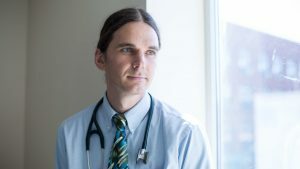 One of his colleagues at the Lynn Community Health Center had just started a unique program to treat these patients at the center where they get primary care, instead of sending them to a state TB clinic. Despite all that, Holland didn’t think of TB when he woke up at 2 a.m. with severe chest pain in May 2014. In a feverish haze, he dragged himself along the Charles River to Massachusetts General Hospital. His chest X-ray came back a ghostly white. “Classic pneumonia,” he said. What the X-ray didn’t show — and what nobody thought to test for — was the TB hiding under all that white. “More than 50 percent of our cases go to ERs around the state and get sent home with antibiotics, being treated for pneumonia or a cold again and again and again,” said Dr. John Bernardo, tuberculosis control officer for the Massachusetts Department of Public Health and a professor at the Boston University School of Medicine. Holland was sent home with antibiotics, and soon he was back in the clinic, examining everyone from newborns to 98-year-olds. He didn’t know that he was harboring an infection that he might have acquired as far away as Kenya — or as close as the examining room next door. Three months later, Holland found himself walking the familiar path along the river to Mass General once again. He’d just been diagnosed with TB and was heading for an isolation room at the hospital. This time, he knew that his lungs were full of potentially deadly bacteria. He knew that it might be spewing into the air with every cough. The chances of him infecting a passerby out in the open air were tiny — but still, he held his breath at every cyclist, every walker. “A symbolic gesture to myself,” he explained. The people he was really worried about were his wife and toddler, his colleagues and his patients, all of whom had been in small, enclosed spaces with him. But there was nothing he could do. At the hospital, he was put into a negative pressure room, which whisked air into vents so that none of Holland’s germs could escape. “The room was 16 paces by 22 paces, and I was in there for 11 days,” he said. His friends sent him books about famous prison breaks. But he was too sick to read. He slept 18 hours a day, lost 20 pounds, and chatted with the only people who were allowed to enter: doctors, nurses, and custodians in N-95 respirator masks, which keep out particles larger than 0.3 microns. Meanwhile, there was panic in Lynn. Their fear was understandable. Lynn is full of immigrants from Sudan, Eritrea, Afghanistan, Iraq, and all over Latin America. They knew about TB from their home countries: They knew it was a disease that could get you sent away to a distant hospital. They knew it could cause you to waste away in isolation. “They don’t want to know they have TB, and they don’t want other people to know. There’s a stigma,” said Dr. Hanna Haptu, who started the TB treatment program at the Lynn Community Health Center. Many also feared getting swept up by authorities. After all, the state government tracks all cases of active TB, and patients who don’t cooperate with treatment can be forcibly confined to a hospital. “A lot of our patients are undocumented, and when they hear you want to screen them or screen them again, they’re afraid you want to turn them over to Immigration and Custom Enforcement and they’re going to get deported,” explained Reen. To reach the 1,023 people who could have been exposed to Holland, the team sent out letters. When they didn’t hear back, they sent them out again, this time by registered mail. They did television interviews and newspaper interviews, and even sent outreach workers to knock on doors. They reached hundreds. They had to test each person twice — once as soon as possible, and once two months later, in case the first test had been a false negative. For kids under 5 whose immune systems are still underdeveloped, that window can be a death sentence, often allowing TB to infect their brain or spine. So any toddler or infant who had had contact with Holland within the previous three months was put on TB meds, just in case. Longtime activists said Holland’s presence — and his moving personal story — had an impact. That included Holland’s own 2-year-old. Holland had to slather the pills in peanut butter to trick his son into swallowing them. “Watching [him] take the medication turned my stomach in a knot,” Holland says. He has pictures from that time. In one, his son’s face is bloated from crying, his nose dripping snot the color of Orange Crush. As it turned out, the risk was quite low: Because the cavity was so deep in Holland’s lungs, he wasn’t coughing out as much bacteria as he might have been. Both his toddler and wife ended up testing negative — and so the chances he had passed the bacteria to anyone else were slim. Yet Holland kept thinking about the trouble his diagnosis had caused. The panic among Lynn’s refugee population, already so mistrustful of medical authority. The woman who nearly went into acute liver failure because of the TB meds she had to take. The infants whose diapers were full of orange diarrhea. All of that had been handled by a kind of medical SWAT team composed of public health nurses from Boston and Lynn, outreach workers from the state, and the group at the Lynn Community Health Center. But other communities don’t have as many resources. One example is Malden, a nearby town of about 60,000. Seven months into his treatment, Holland showed up at the Massachusetts State House. He had even put on a tie, and traded the ragged hiking boots he wears in clinic for sleek black dress shoes. It was March 24th, 2015 — World TB Day. Yet he knew that those most affected by TB — the incarcerated, the malnourished, the homeless, the displaced — probably wouldn’t get invited to speak under the golden dome of the State House. “I throw on the white coat, people tend to listen,” Holland later said. At first, Holland was reluctant to team up with the advocacy group Stop TB Massachusetts, which organizes weekly visits to press lawmakers for more funding and education. He thinks of “lobbying” as a dirty word. His fellow activists soon helped him get over it. Holland wants to raise awareness. If more doctors think to test for TB, fewer people will be sent home, as he was, with a simple pneumonia diagnosis. They’ll get the proper treatment sooner, and that will reduce the chance of TB spreading. He’s also asking for more funding. An estimated 13 million people in the US have latent TB. About 10 percent of those will at some point develop the active infection. That’s a lot of monitoring. This article is reproduced with permission from STAT. It was first published on Oct. 18, 2016. Find the original story here.